Sure, they may compete in completely different divisions on the SmackDown brand, but the continued ascension of Becky Lynch could well have played a part in the decision to turn Daniel Bryan heel. For some reason, the WWE decided to have Lynch turn heel on Charlotte Flair earlier this year, with the plan being to position Becky as the top villain of the SmackDown women’s division. 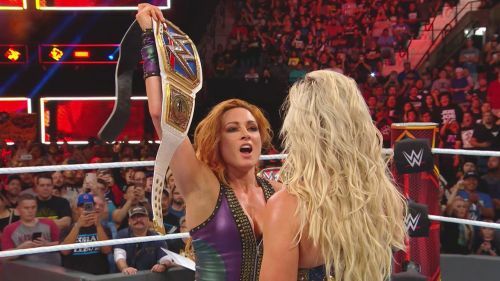 The only problem was, the WWE Universe weren’t prepared to accept Lynch as a heel, and instead this only further accentuated the fact that the Irish Lass Kicker has been forced to often play a supporting role to Charlotte in recent times. To the surprise of many, the WWE did what they rarely do these days – they listened to the fans - and now we have a tough-as-old-boots Lynch who is an aggressive, no-nonsense character that has the fanbase loudly behind her. How this ties to Daniel Bryan, however, is that the initial plan seemed to be for 2018 to play out with a heel Lynch dominating the women’s roster, while a babyface AJ Styles similarly headed up the SmackDown men’s roster. That balance of heel and face champions was thrown askew when WWE brass reluctantly relented on the Becky heel push, and thus it seems that the plan was changed to incorporate a shocking new heel on the top of the men’s side – said shocking new heel being D-Bry.